See you at the 11th Forum 23-24 May 2019! 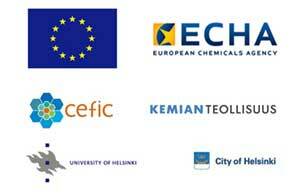 Helsinki Chemicals Forum (HCF) is an independent forum aimed at promoting chemicals safety and chemicals management globally. The conference is built around high-profile panels and keynote presentations as well as related debates. See you at the 11th Forum 23-24 May 2019! HCF is build on high-profile panel discussions and keynotes. We have a number of stand places available at the foyer area.